Need to give your plant a facelift? Start with materials and designs that spell safety, cleanliness and a spankin new look. Indeed they have. Rarely today are construction projects conducted alongside processing operations due to concern over spreading molds, dust and other contaminants. Plant renovation projects often are fitted to production schedules to minimize downtime and protect against equipment and product contamination. Plant additions or expansions are perfect opportunities for getting ideal designs right from the start. Photo: Big-D Construction. “In general, we’re doing as much pre-planning and prefabrication to minimize downtime and the overall effect on the process,” notes Earl Opperman, chief engineer for Shambaugh & Son (www.shambaugh.com), a design-build firm located in Fort Wayne, Ind. Properly sized motors and variable frequency drives should be early key considerations for any plant renovation. Most equipment makers have tried to lower the energy requirements of their processing and packaging equipment. 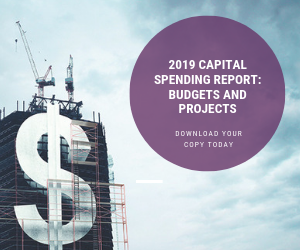 All assessments of capital projects today need to consider life cycle costs of equipment and make a priority of purchasing and modifying equipment to deliver maximum quality with minimal energy usage. With 60 percent of U.S. industrial energy use going to power electric motors, it’s folly to disregard this huge potential for savings. Adjustable frequency drives can reduce electricity use by 40 percent or more. High-efficiency motors can pay for themselves in less than 20 months, according to figures from Baldor Electric Co. (www.baldor.com), Fort Smith, Ark. Electric motors account for 60 percent of U.S. industrial energy use, so they should be considered during a modernization. Photo: Baldor Electric. Mothers used to tell their boys, “You can tell a man by the shine in his shoes.” True or not, there’s at least faint wisdom in the notion that you can tell something about the hygienic character of a food plant by its flooring. Food plants across the nation pour millions into maintenance and upgrades each year. Their improvements run the gamut from equipment to processing equipment to automation. But perhaps no area receives such consistent attention as plant flooring. The nation’s 15,510 food and beverage plants invest an average of $16,250 each year on floors and floor coatings, according to Rust-Oleum Industrial Brands. Of the $227 million spent on average each year by food plants, meat processing owns a whopping 26 percent share. Although flooring comprises only a portion of overall plant upgrades, the fact that food plants give their floors a frequent shine reflects industry priorities. Food regulatory agencies – USDA and FDA – demand food plants adhere to design and maintenance standards that will minimize bacterial growth and opportunity for contamination. Couple that with OSHA pressure to ensure floors are not so slippery as to cause worker injuries and you find ample reasons for flooring upgrades. Food plant floors, which primarily are made of concrete, are exposed to abuse from water, temperature change, hot oils, blood, sugars, acids, fats and countless other ingredients. Many of these elements cause or accelerate corrosion – an invitation to food safety hazards. A good floor is important, but the substrates beneath the floor also play a key role in how long it lasts. The top layer above is urethane concrete. Photo: Rust-Oleum. Growing attention to the potential hazards of microbes underfoot has forced plant managers everywhere to seek flooring options that will help protect against corrosion and contaminant build-up. Once a common choice in plants, tile flooring has fallen from favor. Grout in a joint – any joint itself, in fact – is a potential harbor for contaminants. Instead, processors increasingly are installing monolithic (seamless) floors. “One trend we noticed in Europe was the use of urethane concrete because of the older manufacturing facilities for food and beverage,” notes Scott Cross, director of marketing for Rust-Oleum Industrial Brands (www.rustoleum.com/industrial), Vernon Hills, Ill. The company manufactures Thermakrete, a urethane concrete, and other flooring materials and coatings. “Food plant floors undergo a lot of cold and hot cleaning. Urethane concrete is the best product for thermal shock. Its popularity has grown as epoxies have gone up in price. [Urethane concrete floors] also are easier to apply,” says Cross. Thermakrete has an anti-slip texture that meets OSHA requirements for slip resistance, he adds. It also has a low odor, fast cure time and is easy to apply. The product is available in self-leveling (HP) and trowel-applied (HF) varieties. “It is safe during installation and after the floor is installed, and there is no food contamination and no worker complaints about its odor,” adds Cheri Droessler, Rust-Oleum product manager. Doni Riddle, vice president of industrial marketing for Sherwin-Williams Co. (www.sherwin-williams.com), Cleveland, notes numerous floor coating systems have been developed to meet the varying hygienic demands of different plant areas with differing corrosive conditions, ranging from dry storage areas and cold storage rooms to mixing, canning and slaughtering areas. He recommends 100 percent solids epoxies for coating meat processing floors because of their resistance to thermal and mechanical shock and ability to withstand frequent cleaning. A novalac floor, with its higher aromatic structure, stands up to aggressive chemical contaminants like sulfuric acid and harsh cleaning solutions. Polyurea coatings are excellent, too, he says, since they provide a seamless surface that can withstand temperature extremes. For their resistance to thermal cycling, he prefers urethane cement slurries and mortar systems over epoxy and vinyl ester coatings, touting their superior resistance to thermal cycling, ease of cleaning and low odor levels. Many are moving toward materials, principles and standards of pharmaceutical or laboratory hygiene or extending “clean room” conditions as broadly as is practical in the plant environment. Share your knowledge and experience with quality, food safety and hygienic principles – those that you apply in the lab – with plant personnel to help extend that shield of safety over your entire plant. One such product from Degussa Building Products is marketed under the name “Degadur” in the U.S. It was developed in Europe, where it is still sold as “Silikal.” Degussa purchased Silikal in 1998. The unit operates today as SRS Flooring. The same food safety logic that applies to flooring can be applied to nearly all materials used in the creation of a processing facility. Food and sanitation materials may cause corrosion in surfaces all over a plant – walls, ceilings, work surfaces, pieces of machinery – and this corrosion creates homes for microbes, weakens materials and makes cleaning difficult. Hixson suggests to clients that they study standards for food contact surfaces for material selection within their plant. The 3-A Sanitary Standards and Accepted Practices provide good guidelines. They recommend, for example, 150-grit stainless steel for food contact surfaces due to its easy-to-clean and corrosion-resistant characteristics. “Materials in food processing spaces should be corrosion-resistant, nonabsorbent, inert, easily cleanable and non-toxic,” says Scott McGlamery, Hixson engineer. He refers to specific guidelines compiled by his firm for materials used in the presence of different foods, chemicals and processes employed in the food plant environment. For example, PVC resists a wide range of chemicals extremely well, but it is a lot less durable than other materials and may not stand up as well to the heat encountered in the process. Other small renovation touches can make for a more pleasant and productive plant environment.